DO NOT APPLY 24 TO 48 PRIOR TO PROLONGED SUN EXPOSURE AS THIS PERFUME CONTAINS CITRUS ESSENTIAL OILS WHICH CAN BE PHOTOTOXIC. CONTAINS LIGHT SPICE OILS. PERFORM A PATCH TEST IF YOU HAVE KNOWN SENSITIVITY TO SPICES. IN ORDER TO PREVENT SKIN SENSITIZATION, DO NOT APPLY THIS PRODUCT DIRECTLY TO SKIN AFTER A HOT SHOWER OR BATH. USE CAUTION APPLYING TO SENSITIVE AREAS SUCH AS THE NECK. Astral Temple has been reformulated and returned to the catalog in fall 2016. It is similar to the original composition but not an exact duplicate and has additional nuances. Illuminating golden amber mingles with a top note of sweet orange intertwined with spicy ginger and clove on a base of aged patchouli and vetiver. A subtle whiff of frankincense resin threads itself throughout. 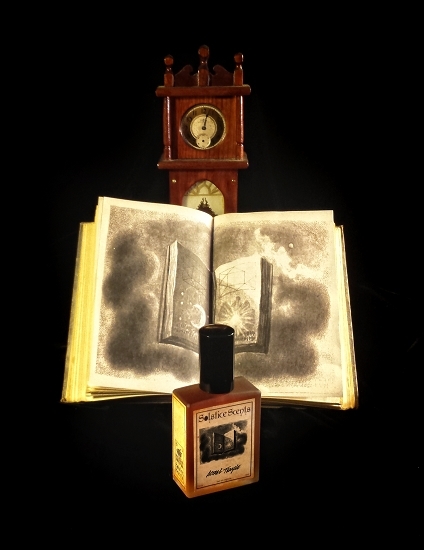 Astral Temple smells divine and deeply sensual and evokes the feeling of being in a still, dark room with nothing but incense smoke caressing you and flickering candles casting a warm orange glow from the boudoir. Astral Temple will have you soaring to view your Akashic records. Astral Temple opens with sweet orange and amber touched by spices. The orange fades and the amber, spicy ginger and clove take first position. The earthy patchouli, woody vetiver and resinous frankincense are subtle but add to the full-bodied amber accord to give a deep, dark, mysterious atmosphere to the composition. 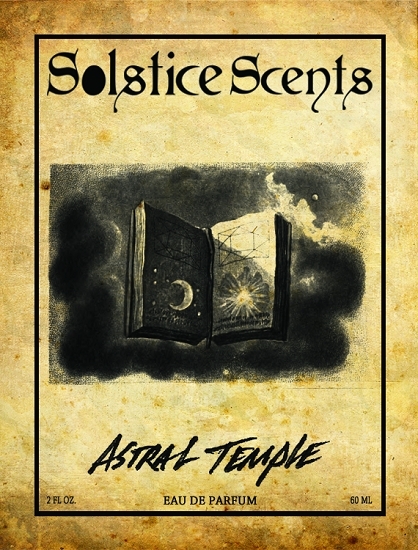 Astral Temple contains a blend of fragrance oils as well as ginger and blood orange essential oil. Unisex.